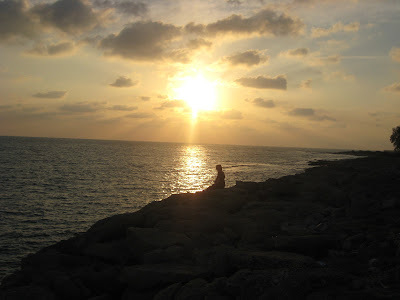 A photo of my daughter in Paphos taken by my son. I have just spent a week in Cyprus with my family attending my nephew's wedding. It was my first experience of Cyprus and the first time i have been abroad in over three years. We stayed near Paphos in an area known as Coral Bay. The weather for late October/early November was pleasantly warm with a couple of days extremely hot which leads me to conclude that it would definately be too warm for me there in the summer months. My first impressions of the island were not good. There was a lot of unfinished building work which made the place feel very untidy and stark. Maybe the credit crunch and downturn in property sales was having an effect. I hated Coral Bay. It was just a manufactured tourist area. Nothing Cypriot about it. The shops and restaurants were surprisingly expensive which, it seemed to me, only had the intention of separating the tourists from their money. 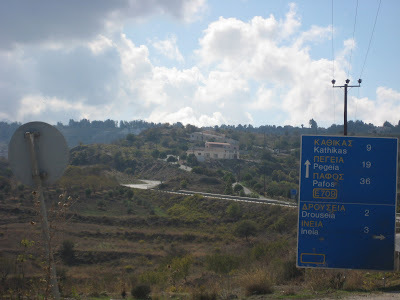 On the way to Polis in the Cypriot countryside. However, the local Greek Cypriots we came across were lovely, friendly and helpful. I'm sure my first impressions are a little bit unfair because we did not get the chance to visit the central and eastern parts of the island. Also, it was late , very late in the season and the land was parched and dusty. 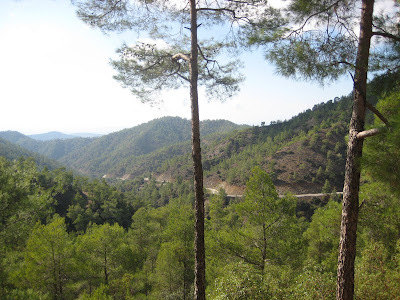 I would love to go back with more time to spend, maybe in the spring, and discover the real Cyprus. Stunning scenery in the Trudos Mountains. I did enjoy the holiday though. I enjoyed the experience of foreign travel again. I enjoyed the flying and airport even though it was stressful. I enjoyed the people watching. The wedding was a fantastic joyous occasion and I enjoyed being with my wife and children as it will probably be the last time we will take a holiday together as a family.